A while ago I admitted neglecting some of my baking books, never giving them a second look, while shamelessly favoring others. To atone for my neglect, I pledged to give every book a fair chance with my “Equal Opportunity Baking” list, with one recipe from ALL of my baking books. 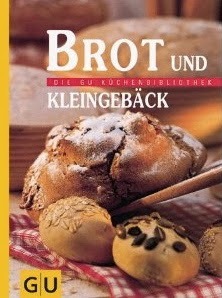 Published in 1997, I use “Brot und Kleingebäck” mainly as resource, adapting the old, labor intensive methods to more modern techniques that require less brawn and hands-on work, thanks to longer fermentation and refrigerator sleepovers. These little (or no)-knead methods, described by Peter Reinhart, Jim Lahey, and others, are much easier to work with. And not only that, they also improve the taste. I started the evening before, kneading the dough, then let it slowly rise overnight in the fridge. The next morning I baked my rolls. When they came out of the oven, they looked – and smelled – very appetizing. I couldn’t wait to have my first bite, but what a disappointment – I found that “the proof was in the Muesli Rolls”. They tasted good, yes, but were much too dry! How could that happen? My dough had been well hydrated the night before, even a little bit sticky, as it should be with stretch-and-fold doughs. I really liked the taste of the rolls, otherwise I would have written off the recipe with a scribbled comment: “not that great!” Therefore, I took on the recipe again to find out what had caused this lack of moisture. 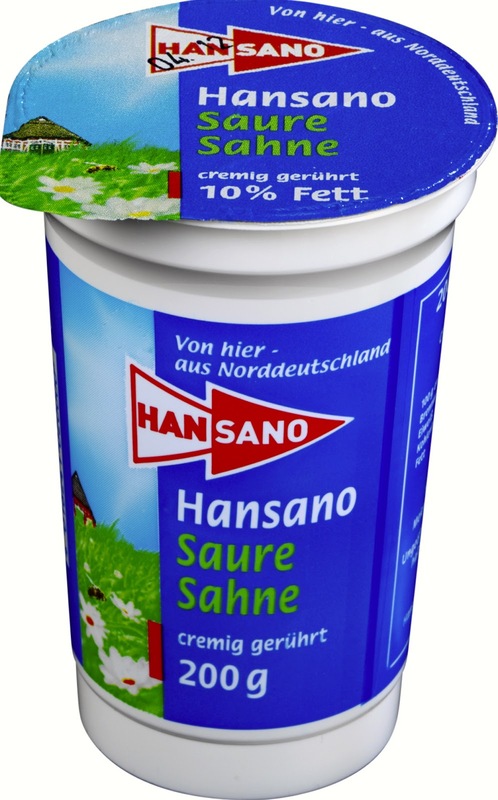 Was it the different fat content of German “saure Sahne” and American sour cream (10% vs 12-16%?) Not likely: more fat will make the crumb softer, but not drier. American molasses instead of German sugar beet syrup? Nope! And my baking friend Paul only recommend adding more water, when I asked for his advice. But there was one ingredient that had puzzled me from the beginning – the unspecified “hearty muesli mix”. There are many muesli mixes on the market, and they differ in their composition from one brand to the other. I looked at the list of ingredients on the package. Bob’s Red Mill’s “Old Country Style Muesli” had 5 different flakes, dates, raisins, flax seed, sunflower seeds, almonds, and walnuts. The stretch-and-fold method doesn’t require pre-doughs (except for sourdough breads, of course). Usually the whole grains and seeds have enough time to soak when they spend the night in the fridge. But I find that pre-soaking coarser ingredients doesn’t hurt. And whole flax seed I always soak for 24 hours, anyway – to make them better digestible. Even though my dough seemed well hydrated after the stretch-and-fold procedure, those flakes, seeds and dried fruits had swallowed a lot of water overnight. 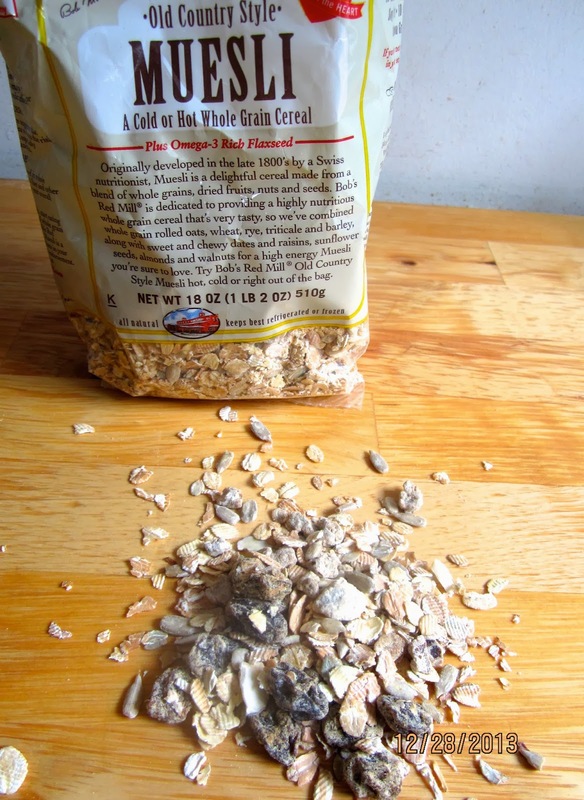 The original recipe mentions overnight refrigeration as a do-ahead option, too, but without the muesli mixture. That should be kneaded into the dough before baking. With just 10 minutes (!) 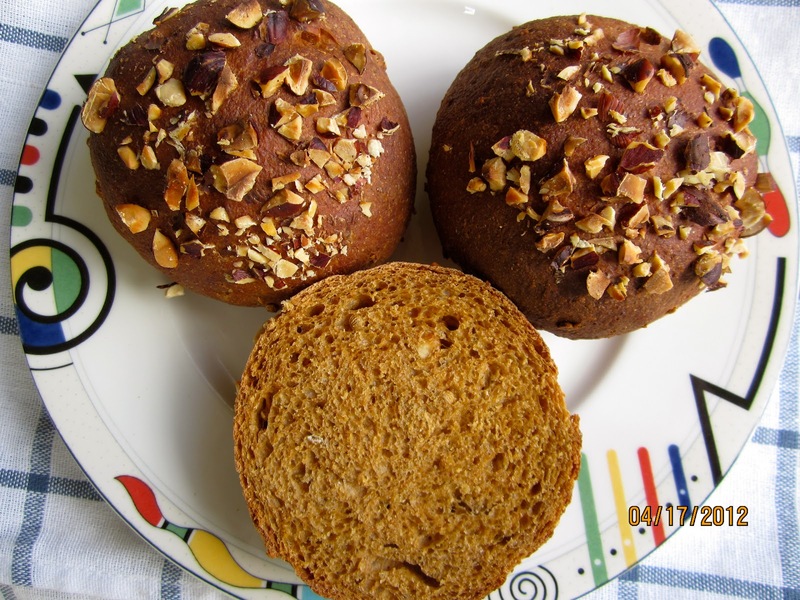 rising time for the shaped rolls, the flakes and dried fruits have no time to absorb much liquid, and the original recipe requires – except for the sour cream – only 5-6 tablespoons water! But what to do? I like chewing on nuts, yes, but on hard pieces of dried fruit? No, thanks! 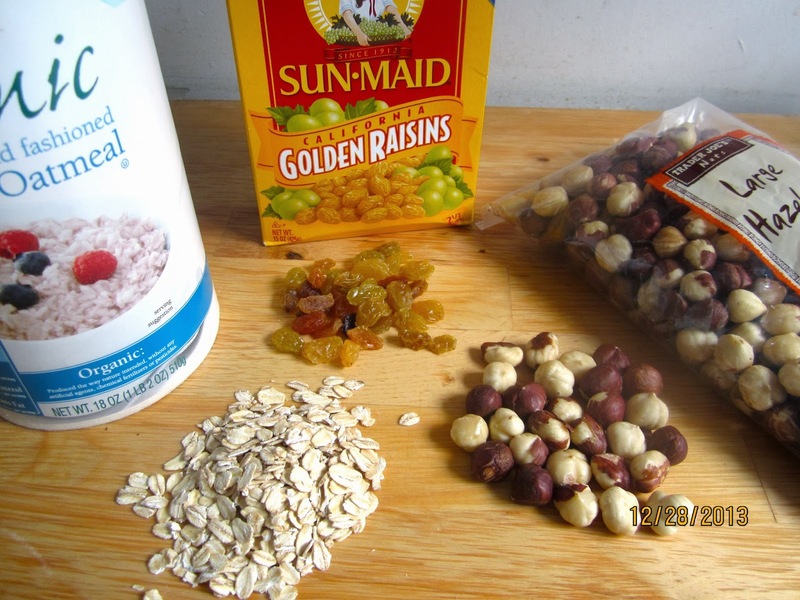 In a comment, the recipe suggests using a mixture of oatmeal, raisins and hazelnuts, instead of store bought muesli. And that’s exactly what I did when I made the rolls again – to have better control over the hydration. Since a ready muesli mixture also contains sugar, I added a bit of honey. These whole wheat rolls should be slightly sweet. I hoped these tweaks would work, and I wasn’t disappointed – the second batch of muesli rolls turned out just as nice as they looked! The homemade muesli mix worked! In the morning, stir together all soaker ingredients. Cover, and leave at room temperature. In the evening, mix together with all dough ingredients at low speed (or with wooden spoon), until all flour is hydrated, and rough ball forms. Let dough rest for 5 minutes. Transfer dough to a lightly wet or oiled work surface. With wet or oiled hands, stretch or pat dough into a rough square. Fold like business letter in 3 parts, then repeat the same folds from the left and right side. Pick up dough ball, gathering edges underneath, and place, seam side down in lightly oiled bowl. Cover, and let rest for 10 minutes. Repeat this stretching and folding 3 times more, at 10 minute intervals. 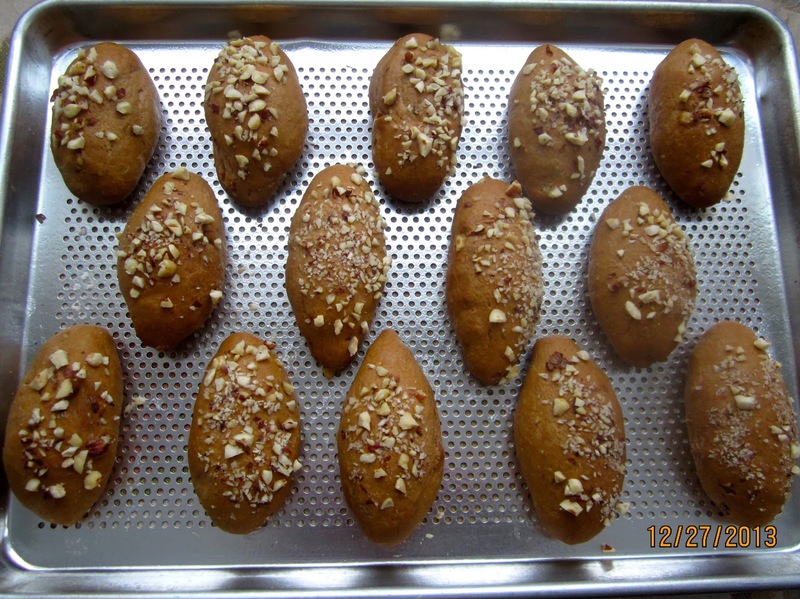 After the last fold, place dough in oiled bowl or container, cover, and refrigerate overnight. Divide cold dough*) into 10 – 12 equal pieces. Shape rolls, or torpedoes, and place them, smooth side up, on parchment lined baking sheet (I like using a perforated baking sheet). Place hazelnut pieces for topping on a plate. Brush rolls with egg wash, and dip in hazelnuts. Gently press nuts down, so that they stick. Let proof 45 – 60 minutes, or until rolls have grown 1 1/2 times their original size, and a dimple, poked with your finger, doesn’t fill up again. Preheat oven to 400ºF/200ºC. Bake rolls for 12 minutes, rotate 180 degrees, and continue baking for about 13 minutes more, until they are deep golden brown. *) With rolls it is not necessary to let them come to room temperature before shaping. They warm up fast. Hanaâ, I'm sure you can use your Muesli (I always check out Aldi, when I'm in Germany, too – we don't have one in Maine), if you take the same amount, if you soak it (if possible, removing the nuts, and adding them to the final dough). I guess I'm lucky to have an Aldi store less than 2 miles from my house :o) The box said that the Muesli was imported from Germany. Since it was a Special Purchase (one time thing), I bought 2 kinds: one with nuts for hubby and one without nuts (but with all sorts of yummy dried fruit like dates, figs, banana, etc). I'm adding your Muesli rolls to my To-Try list. 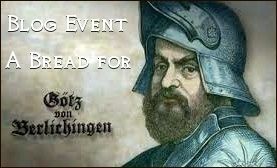 Can't wait! That was the amount of instant yeast calculated from the original recipe's amount of fresh yeast: 44% instant yeast for 100% fresh yeast for very enriched doughs. I didn't notice any overactive rising, so I didn't change it when I made my second batch. 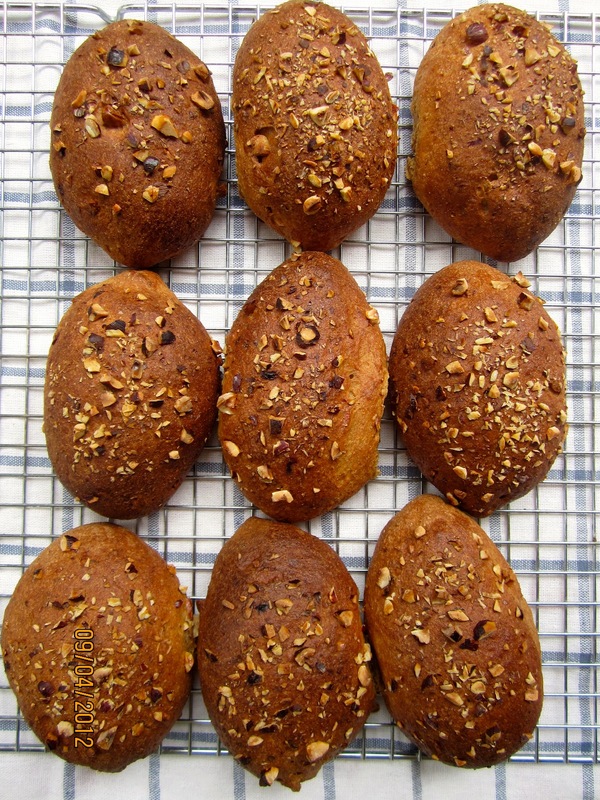 I hardly ever use vital wheat gluten, only for Vollkornbrot or other low gluten breads. Wheat breads rise just fine without it, and American wheat has more gluten than European wheat, anyway. I know, King Arthur propagates it with photos of higher rising breads, but why add a dough enhancer if it's not really necessary. Interesting, thanks!! I'll try it without the Vital Wheat Gluten and see what happens. Hanaâ, I just looked at the original recipe again, it had 42 g fresh yeast (1 cube), so 14 g instant yeast are actually only 33%, and not 44%. And trust me on the VWG. If you look at Peter Reinhart's, Hamelman's, or any recipes of those bread baking popes, they use vital wheat gluten very rarely, for higher percent rye breads, if at all. I just made them again, and reduced the instant yeast to 12 grams, without problems.